We are proud to partner with Quicksilver Labs, the leader in mercury testing in the world and makers of clinical therapeutic grade liposomal detox supplements. Alaska, Arkansa, Colorado, Delaware, Indiana, Iowa, Kansas, Louisiana, Minnesota, Missouri, Montana, Nebraska, North Carolina, North Dakota, Ohio, Oklahoma, South Dakota, Texas, Utah, Vermont, Virginia, Washington, Washington DC, and West Virginia. If your state is not in this list, please contact your health professional to contact us to assist in your testing. 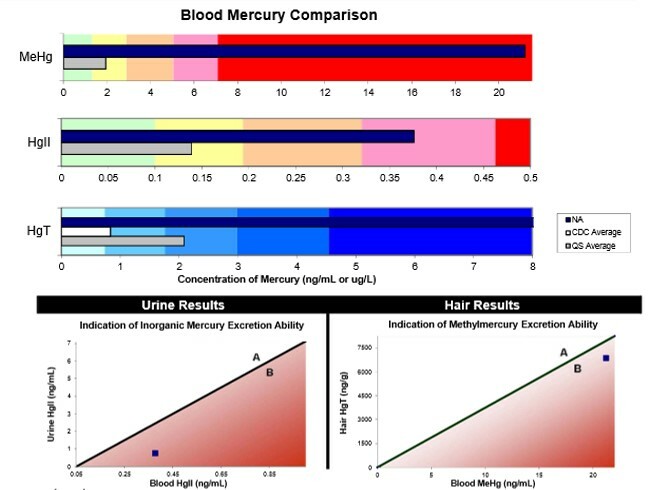 Clinical Description: The Quicksilver Mercury Tri-Test is the only clinical test that utilizes mercury speciation analysis, a patented advanced technology that separates methyl mercury (MeHg) from inorganic mercury (HgII) and measures each directly. Quicksilver Scientific’s instruments are sensitive enough to measure ambient mercury levels in the body WITHOUT THE NEED FOR CHALLENGE TESTING. 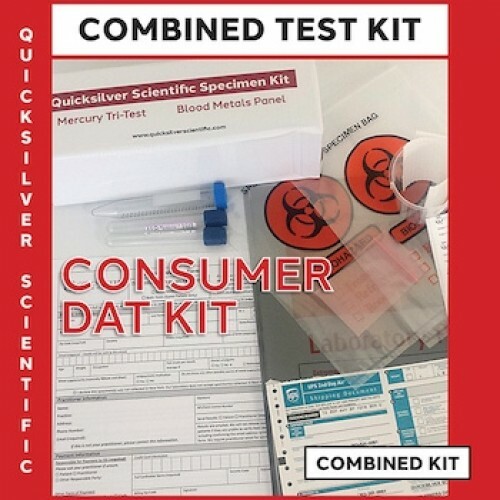 This laboratory test provides unprecedented information for the healthcare practitioner, allowing them to assess the patient’s exposure sources, body burden and ability to excrete each form of mercury. This detailed information helps build an informed picture and allows the clinician to plan a rational approach to successful detoxification strategy for the patient. What about Mercury Challenge Testing? In the 1990’s, sensitivity of analytical equipment was not advanced enough to measure ambient (steady state) blood mercury levels. 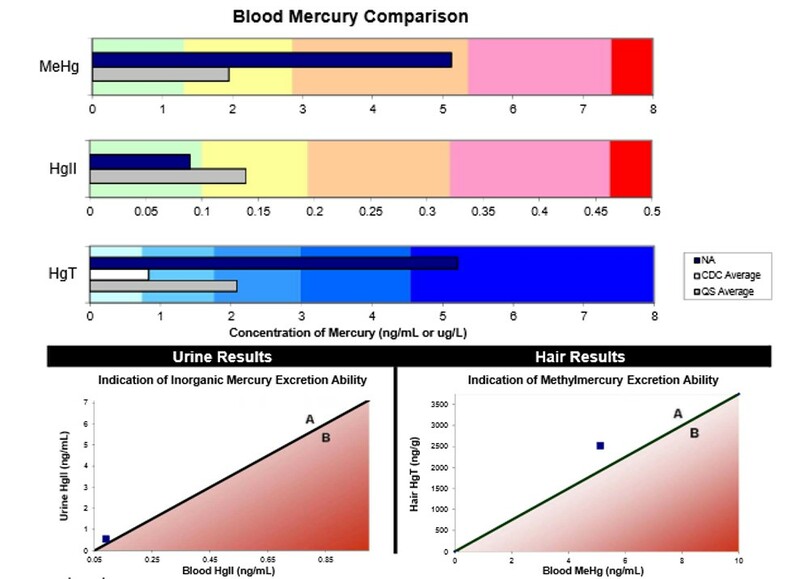 Therefore, “challenge” or “provocation” testing, using high doses of strong chelation agents, was developed to “pull” mercury out of organic cellular structure for urinary analysis under the diagnostic premise that it shows the mercury “body burden” of an individual and establishes correlation of long-term mercury burden. While mercury challenge testing was clinically relevant for the time, advances in technology and clinical study have proven challenge testing to be unreliable and even potentially damaging to the patient. Challenge Test does not differentiate between MeHg and Hgll. Only Total mercury level is represented (HgT). Challenge does not reflect the “pool” of mercury premise. There is no “non-challenged” reference range to compare the challenge test to; from a regulatory standpoint, there is an obvious potential for over-treatment. Challenge does not reflect long-term exposure as proven by clinical trial* reference p.120. Challenge does not reflect long-term exposure as proven by clinical trial* reference. DMPS has a very different strength and specificity than DMSA. IV vs. oral administration has vastly different pharmacokinetics. Use of adjuncts such as EDTA, glutathione and glycine vastly changes the dynamics of the test and its output. Challenge exposes individual to large dose of exogenous substance. Challenge may cause redistribution of mercury into organs, including the brain. Challenge does not measure ambient mercury burden. Challenge does not elucidate elimination abilities of patient. Challenge results are skewed in individuals with renal insufficiency (common in Hgll toxicity). Does the "challenge test" really show the "body burden" of mercury? Patient consumes little or no fish meals and has dental amalgams. (Patient levels indicated by blue bars and squares). Explanation: MeHg typically shows a greater than a one decimal place order of magnitude compared to Hgll in ambient blood levels. In single, unspeciated blood, urine, hair and challenge testing, MeHg level overshadows Hgll level that may be at high, possibly toxic levels. Blood HgT: Low. This test missed it! Patient is not excreting more highly toxic Hgll, but the MeHg level is very low, causing overall mercury level determination to fall below level that would indicate they have a problem. (MeHg typically exhibits a greater than one decimal place greater concentration in ambient blood level.) 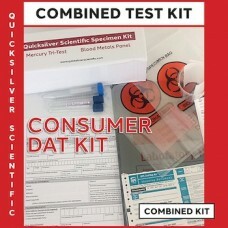 ADDITIONALLY, a blood total mercury test alone would not reveal that the patient is not excreting Hgll anywhere near an optimum level, and is therefore accumulating Hgll. Urine THg: Low: This test missed it! Urinary excretion is principal route of Hgll elimination. Patient is not eliminating, so urine test will not reveal meaningful information about mercury burden of patient. Hair: Low: Missed it! 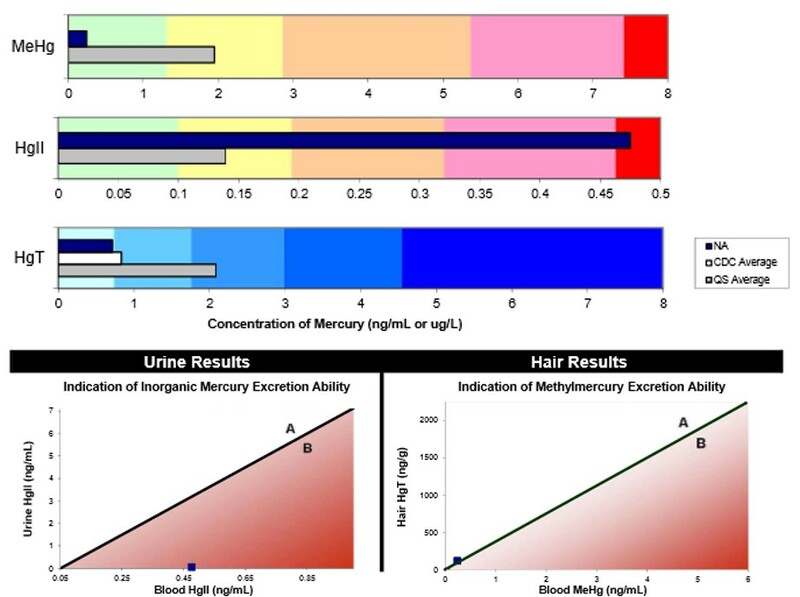 Hair predominantly measures MeHg excretion, and patient has low MeHg level. Challenge: Low: Missed it! Challenge test fails to detect proper level of HgT due to severely compromised kidney function in this patient. Explanation: For equal body burden MeHg is typically 10–15 times higher than Hgll in ambient blood levels, due to different tissue:blood partitioning. Potential False positive created by HIGH MeHg and low Hgll. Blood HgT: High: False positive created by HIGH MeHg and low Hgll. Urine: Low: This test may correctly identify the patient as low Hg burden due to low Hgll level. Hair: High: Patient is efficiently excreting MeHg, and test may falsely cause alarm to practioner. Challenge: High: Challenge testing incorrectly shows high in this patient due to efficient kidney function and elimination. Patient has very high fish consumption and no dental amalgams. The overburden of MeHg is being de-methylated to Hgll, and driving Hgll levels up. Additionally, patient has depressed kidney function causing Hgll to be accumulated. This is a high-risk scenario. Watch these videos of Dr. Shade and see why Quicksilver is the specialist in mercury poisoning.